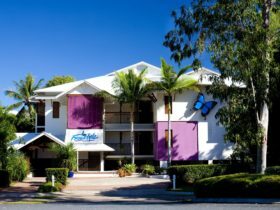 Mantra Heritage offers premium accommodation in the centre of Port Douglas, just a short walk from Four Mile Beach and the Marina Mirage wharf. 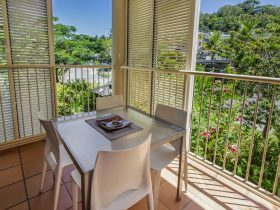 It has a fresh, welcoming atmosphere in keeping with the warm, friendly ambiance of Tropical North Queensland. At Mantra Heritage you are bound to find an accommodation option that suits you perfectly. 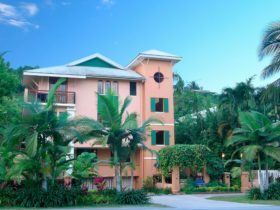 Choose from a Hotel Room, One and Two Bedroom Suites, and Two Bedroom Dual Key Suites. With all Suites featuring kitchenettes you will be able to enjoy breakfast in, or put together your snacks for the day. Deluxe Suites also have private jacuzzis, perfect for relaxing in after a big day exploring. By day, laze by the saltwater lagoon pools, enjoy an outdoor barbecue with friends and family or relax in the spa with a good book. By night venture into Port Douglas to discover the dining scene. From pubs to fine dining restaurants there is something for everyone. 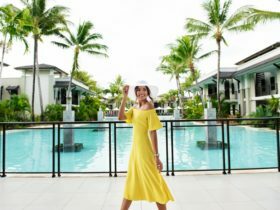 From Port Douglas you’re in the ideal spot to make the most of Tropical North Queensland. 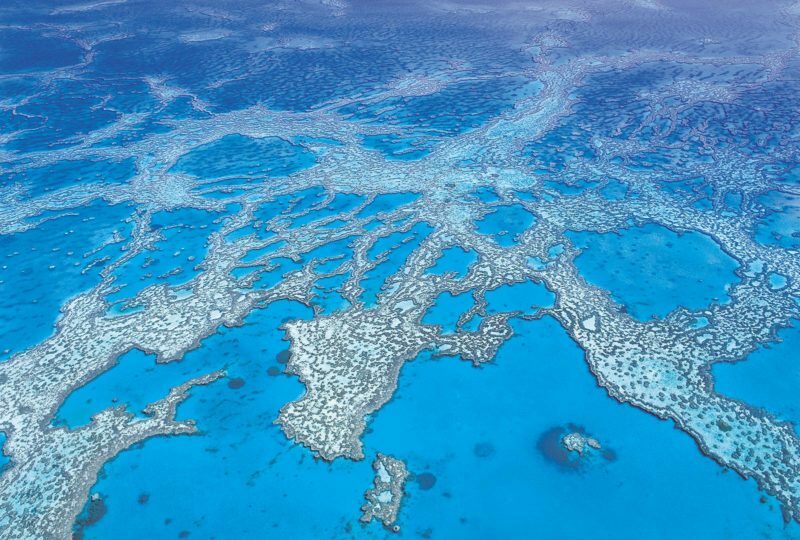 Enjoy a day trip out to the Great Barrier Reef, take a drive to the Daintree Rainforest, wander along Four Mile Beach, or indulge in a spot of shopping. 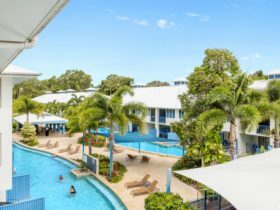 Available as a standard Two Bedroom Suite or dual key with interconnecting One Bedroom and Hotel Room, some apartments feature a whirlpool spa, which is sure to keep the whole family entertained. This room type is available king and queen bed configuration or queen and two singles. 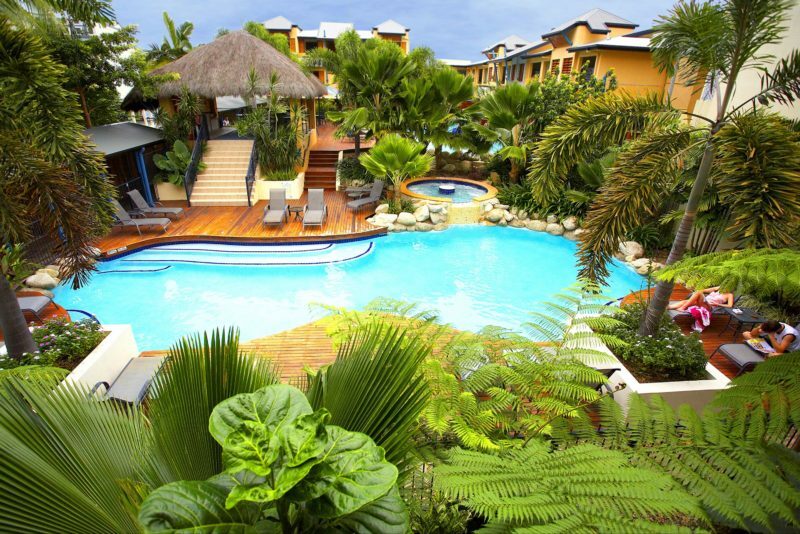 Self-contained suites nestled around 1,200 square metres of saltwater lagoon pools and spas. All rooms are air-conditioned with ceiling fans. Available with one queen bed. 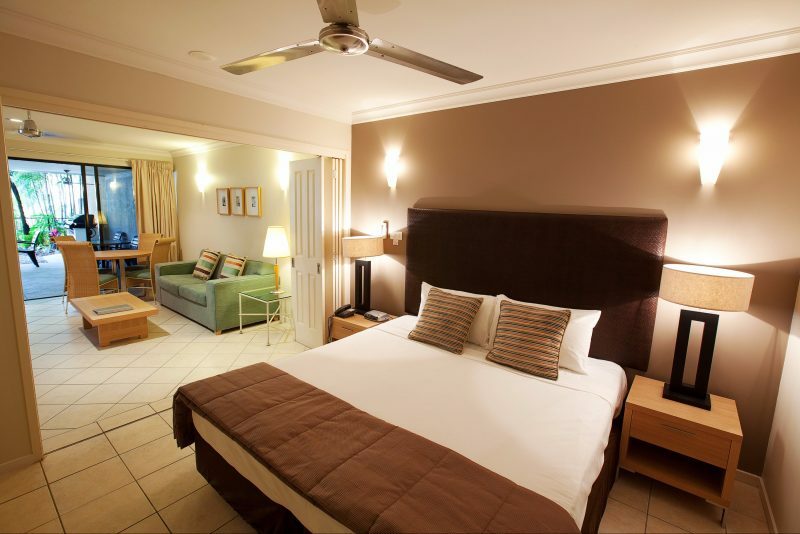 This room type is available with king bed configuration or two singles and offers the convenience of a kitchenette. 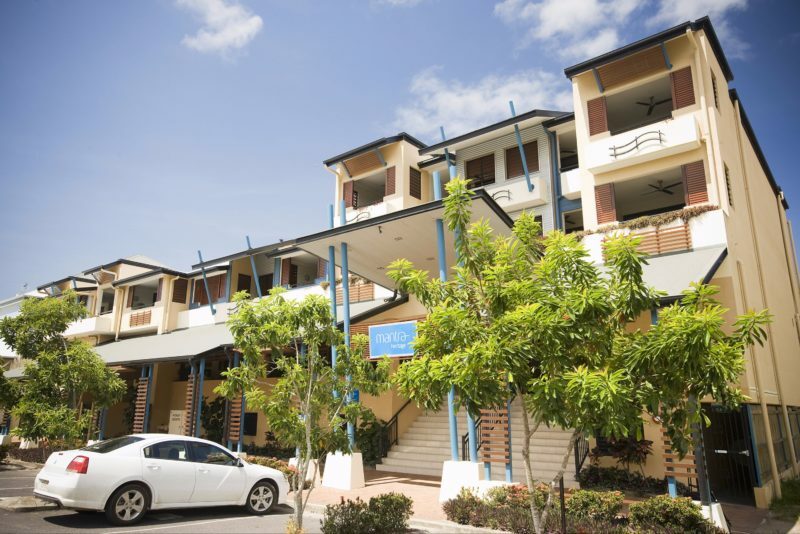 Other in-room features include air-conditioning, ceiling fans, cable television, internet access and safe. 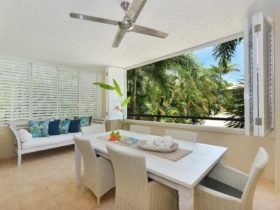 Choose from the One Bedroom Suite or One Bedroom Swim Out.